We weren't sure what to make of The Missing, an upcoming action-adventure game from Swery's studio White Owls and publisher Arc System Works, but now it's starting to materialize. Key word: starting. A new teaser website has surfaced with the first few screenshots and not much else to go off. The first image has two characters sitting beside a campfire under a picturesque star-filled sky. 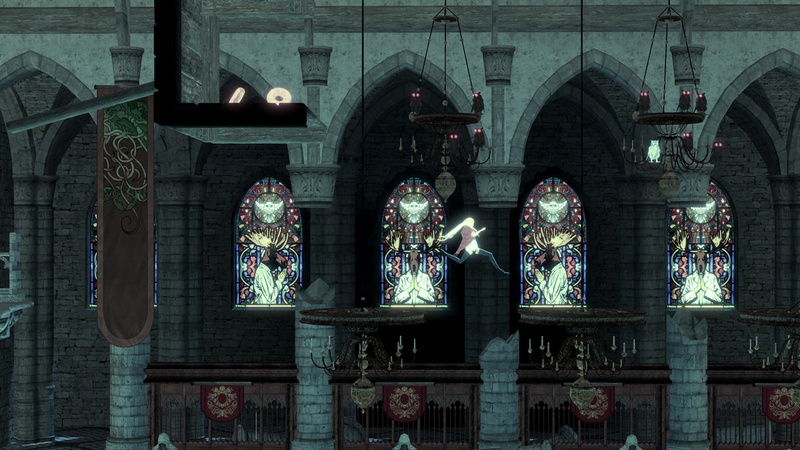 Another screenshot shows the protagonist jumping across chandeliers, with some sort of glowing items just out of reach and stained glass windows depicted a moose-headed man. The third and final image features a cartoon-esque electric shock and an unusual HUD element in the top left. What does it all mean? The Missing: J.J. Macfield and the Island of Memories is coming to PC, PS4, Switch, and Xbox One.